Acne Serum is a subtle blend of Iris Florentina root extracts and essential oils with antiseptic, decongesting and soothing actions. This product leaves the skin cleansed and refreshed. Apply in the morning and evening on thoroughly cleansed face, especially on the areas to be treated. Follow with daily moisturizer. Packaging: ☆☆☆ out of 5stars | The product comes in a really nice and sturdy-looking box labeled with complete information including expiration date. 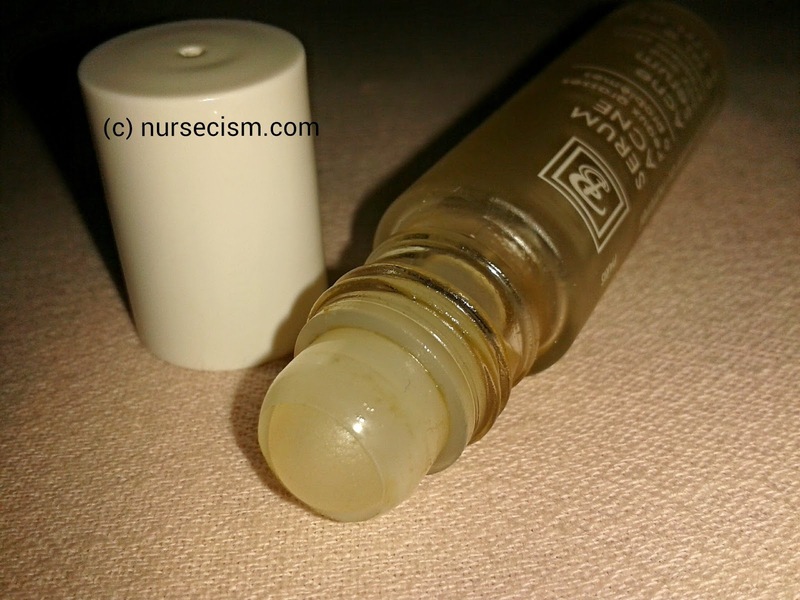 The 8ml serum however is contained in a clear glass roll on bottle (as pictured above) which makes application a little bit unhygienic. The best way to prevent contamination is to just use your clean fingers when applying the serum to your face. 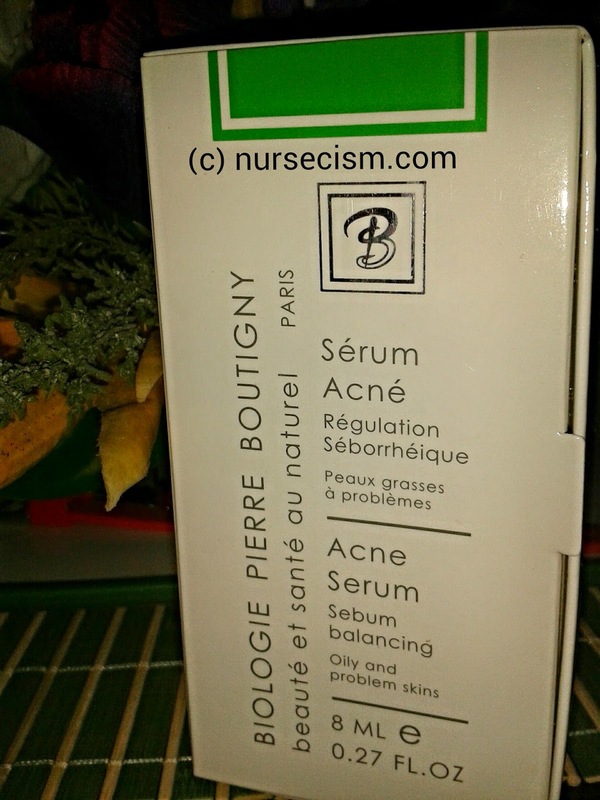 Consistency and Smell: ☆☆☆☆ out of 5stars | Acne serum has a consistency like that of water---perhaps just a little thicker. This allows better and faster absorption in my opinion. It smells okay, comparable to herbal medicines. Effectiveness: ☆☆☆☆ out of 5stars | I already used up one whole bottle and I can say that it worked really well. It effectively healed my acne and I just occasionally get bumps whenever I'm about to have my period. (Blame the hormones, yeah.) It works by reducing the size of really big pimple in say, two to three days. For newly discovered "budding" pimples, the Acne Serum will stem their growth. You will see results in as early as overnight! Price and Where to Buy: ☆☆☆ out of 5stars | Quality is never cheap, so they say. This wonderful product costs around $40-$50 and is not readily available in your local stores. I got mine from my cousin and he bought it from Singapore. You may Google search stores that carry this product and just have it shipped to your doorstep if you are interested to try. 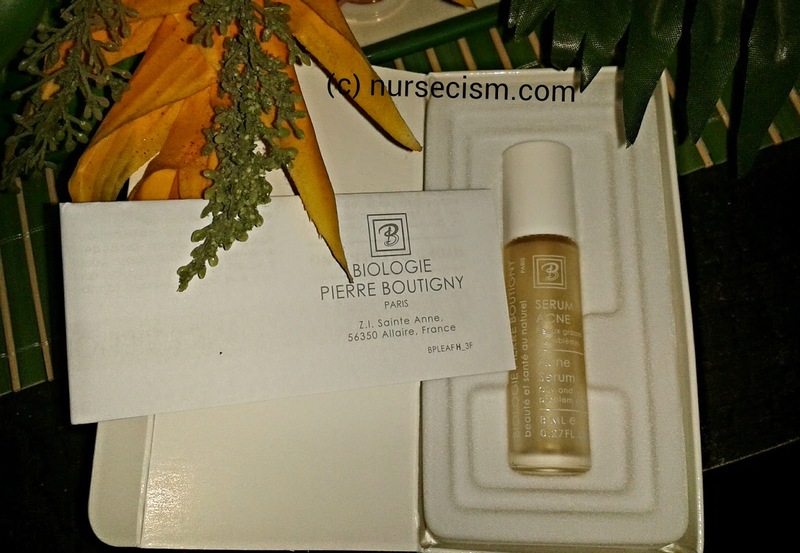 Overall Experience: ☆☆☆☆ out of 5stars | I love that Biologie Pierre Boutigny Acne Serum worked for me. It didn't irritate my skin and it didn't cause any breakouts. Don't let acne ruin your life. There are reliable products out there that are just waiting for you to try. If ever you have used this Acne Serum before, don't be shy and let us know your experience with it through the comment box below!